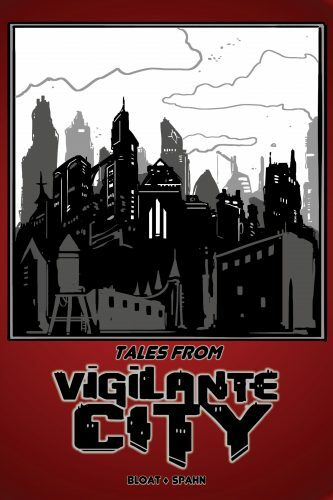 PRESS RELEASE – Bloat Games is excited to announce Tales From Vigilante City! Tales From Vigilante City will be compiled and edited by Eric Bloat (from Bloat Games, Creator of the SURVIVE THIS!! Game Series & Vigilante City) and by ENnie and Origin Award winning author James M. Spahn (from Barrel Rider Games, Creator of The Hero’s Journey & White Star RPGs). · Accepting 2.5K-16K word count. · Payment made via Paypal only. · Payment grants Bloat Games Non-exclusive rights to publish the story. Writer retains all other rights and Intellectual IP and can resell the story to other publishers. · All submissions and inquiries should be sent via email to ericbloat@yahoo.com with the subject line: TFVC Submissions. · Deadline will be announced later, based on response.